The event was held from 11:00 AM until noon in the outdoor amphitheater at the Madelyn Helling Library at 980 Helling Way in Nevada City. The ribbon cutting took place at 11:00 AM followed by a dedication from amphitheater benefactor, Jackie Wilson. 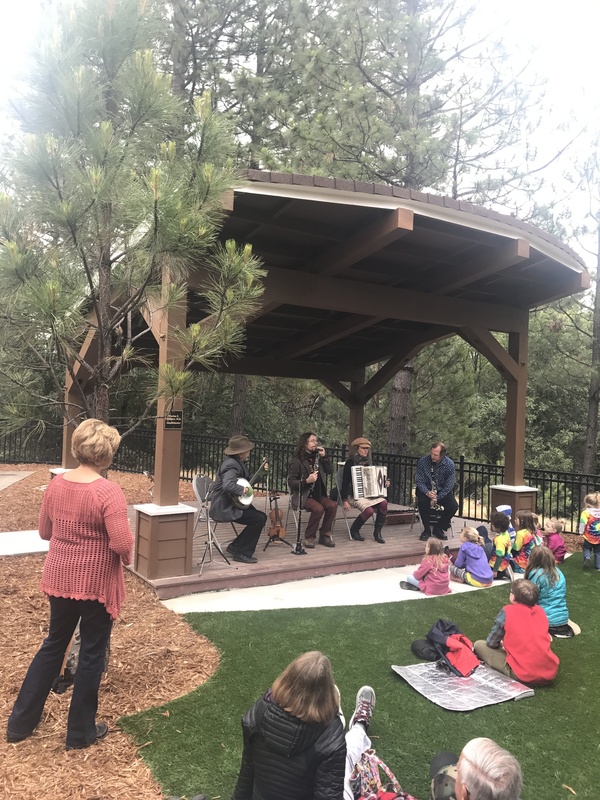 Attendees were treated to the summer’s first Musical Mondays at Madelyn’s concert featuring Beaucoup Chapeaux, courtesy of InConcert Sierra. Light refreshments were provided by the Friends of the Nevada County Libraries. the earth’s bones and the closest stars can hear it.